Investigating the experiences of a group of female students as they journey into and through higher education, and into work with and for children, Journeys through Childhood Studies offers a critical analysis of the intersectional influences and effects of social division on experiences of higher education and career trajectories. The book explores the influences of gender, race, and class on the experiences of higher education and the development of professional identities, and whether the professionalisation of work in relation to children and childhood opens up opportunities for career development or narrows the range of choices available to women. Adopting a distinctive qualitative approach to track strategies used by women participants to accommodate the changing terrain of their journeys, this book demonstrates how the women’s pathways to university are shaped by factors such as social divisions, friends, family, and school, and their experiences of working with children. Featuring detailed interviews, Journeys through Childhood Studies offers an insightful exploration of the construction and practices of the Children’s Workforce. It is a must read for academics, post-graduate students and those researching childhood studies, professional identities and experiences of higher education. 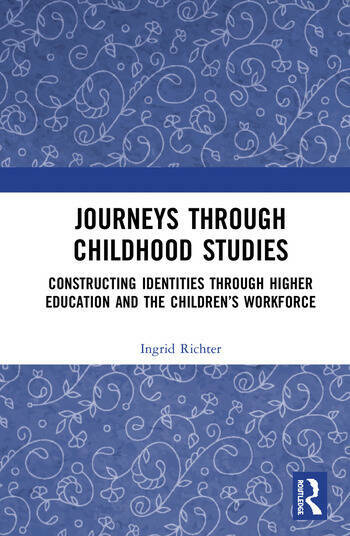 Ingrid Richter was a Senior Lecturer in Childhood Studies at Leeds Beckett University, UK.